Your business has a lot to offer and there’s no better way to sell multiple products and services than by putting them in a high-quality catalog. Let our staff of experts entice your customers or other businesses by showing them the products and services you have to offer. We’re the catalog printer you’ve been looking for. Get the word out about your business. If you're needing a few books quickly, consider a digital run. For quantities of 500 or less, it's much more economical and time efficient. 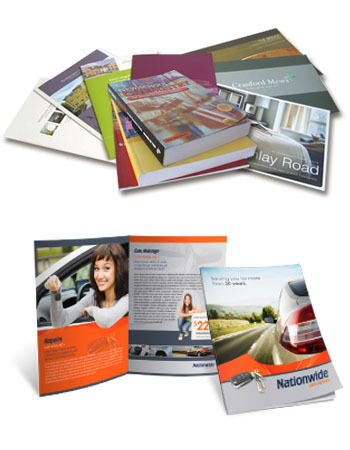 Add a 10pt cover stock to your booklets to give them a polished professional look and feel. In addition to the classy upgrade, they will also be more durable and have a longer shelf life. Choose your paper stock preference and quantity.